The Ladykillers tells the story of the eccentric little old lady Mrs Wilberforce who lives alone with her raucous parrot in a strange lopsided house in King’s Cross. Her life is turned upside down by the arrival of Professor Marcus and his four friends who, between them, make up the most unlikely group of criminals. Planning the heist of a security van, they decide to use Mrs Wilberforce as cover and involve her unwittingly in the plot. Things do not go well and the Professor’s plan starts to unravel in spectacular and hilarious fashion.. This wonderfully hilarious spoof of the classic 1955 Ealing Comedy, which starred Alec Guinness as the Professor, is from the pen of Graham Linehan, most notable as the writer of TV’s Father Ted. When it debuted at the Gielgud Theatre it broke Box Office day one sales and won the Time Out Best New Comedy Award and was nominated for 5 Olivier Awards. The Independent called it an “Uproarious slapstick stage farce”. and, as only The Times can say, “Faultlessly witty”. Directed by Don Hirst performances will be at 7.45pm on 5th – 13th July 2019 and a matinee on the 13th July at 2.30pm. 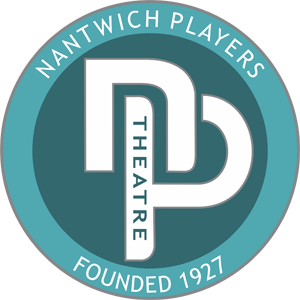 Tickets priced at £9.00 will be on sale from Nantwich Tourist Office (01270 624556) or on-line at www.nantwichtowncouncil.gov.uk from Tuesday 18th June 2019 at 9am. Priority tickets for our VIP Supporters go on sale Saturday 15th June at the Theatre. To find out more about becoming a VIP Supporter visit the membership section of the website.